When choosing a subcontractor for your project it is best to strike a balance between quality and price. Sometimes blindly accepting the lowest price bid could bring you a lot of problems. You have to make sure the subcontractor you choose does high quality work. A cheap subcontractor that does lousy work wont be worth any amount of money. The best way to look for them is to ask people who have recently built or gotten work done who they used. Getting a referral is great because you can see the quality of the workmanship the subcontractor provides from a first hand client. If you can’t find anyone who has had any construction or remodeling done, the next best place to look is the yellow pages. When you call the subcontractor on the telephone, make sure to schedule a face to face meeting. 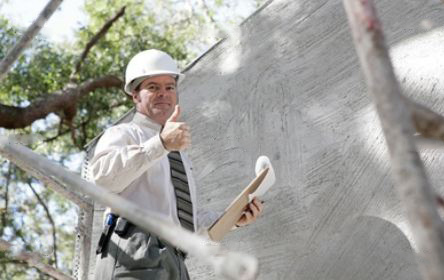 This will allow you to get your first impressions on how professional the subcontractor is. When you go and see them take your bid package which would include your blue prints and any specifications that you desire. 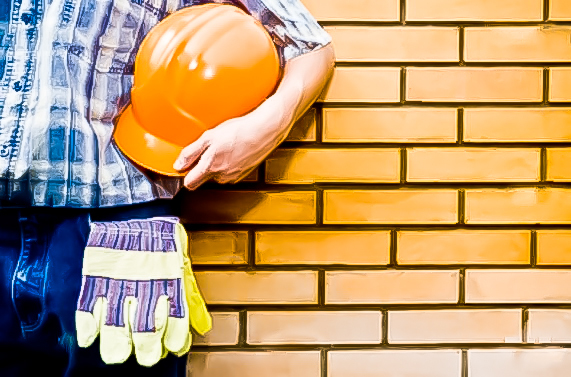 While you are there with the subcontractor, this is a great time to ask him some questions. Find out what kind of liability coverage he carries, the expiration date on his state worker’s insurance. Also make sure his local business licence is current and in good standing. If the subcontractor does not have insurance, do not hire him. You will just be asking for trouble. Don’t depend on the contractor to give you references. If you do, they may give you the names and phone numbers of family and friends who will always give a great review of him although he may not be very good after all. The best way to check up on his work is to go to the job sites he is currently working on and check them out. After giving him the bid package, set a deadline for his response and simply go home and wait. I would suggest going through this with at least three different subcontractors for each job. This gives you the ability to compare them and choose the best one. When writing up the specifications for your bid package, you want to be as specific as you can so you can truly compare apples to apples when you get your bids back. Do not let the contractor add a “Or Equal” clause to your materials or you may find yourself with lower grade stuff in your home or project than you planned for. When you receive your bids you may notice a big variance in price ranges. This is the reason why it is important to get at least 3 different bids. Make sure each bid has the price, terms and a description of the job that is going to be done. This allows you to compare the bids more easily. If you are unsure if the bid covers a specific aspect that has been left out, call the contractor on the phone and get a straight answer. You want to clearly understand everything they are offering. If any bid comes to you with a time limit and a request for your signature to accept it, DO NOT SIGN. You never want to use the subcontractor’s contract. You are hiring them, it should be your contract that they sign, not the other way around. It is worth negotiating with the subcontractors and accept the best deal you can work out. Make sure though that you are getting a good value for good work and not just a cheap price. When it comes time to put it under contract, it may be worth it to get a the legal document prepared by a real estate attorney. If you don’t want to do that, there are some resources online to find some standard subcontractor contracts that you could check out. Make sure that your project is protected by having a clause that gives the subcontractor penalties for running behind schedule. This will give them incentive to work quickly and on time. I recently read an article in the Toronto Star regarding how to approach an offer and win a bidding war. In the article it gives advice to put an offer in on the property before they are accepting offers and go above asking, with no conditions, and have it irrevocable before the time they are accepting offers. This forces the owners to have second thoughts on not taking the offer because they have a very lucrative offer on the table. I have a few opinions on this tactic. I do agree and disagree on this type of guerilla offer. This is great because I believe sometimes owners in this market are taking advantage well beyond the buyer. I’m all for getting more than your asking and making a profit, but when your asking a couple to give you a crazy amount that the house is not worth. The buyers usually have problems getting financing from the bank because they don’t think the house is worth it either. This strategy also puts the ball in your court. It calls the owners bluff, unless he is willing to keep the house on the market. I also believe this strategy could back fire. How do you know how much to go above asking? What if there are problems in the house? No inspection? What about if you don’t get financing due to the over value? These questions could be big problems after you sign on the dotted line. Think about it! Planning construction of the new cottage home requires special attention to several factors; including what the main purpose of the cottage will be. For instance, will the cottage be used as a winter cottage, a summer home, or a cottage rental? Will it serve as a retirement home, a hunting cabin, or a guest house for visitors? Once the main purpose for the cottage has been established, move on to cottage construction design. Avoid getting caught up in selecting a cottage design and floor plan simply because it is “cute.” You want something that will meet the needs of you and your family long term. Cottage size and floor plan layout should be your first consideration – as well as what you are realistically able to afford. Remember, the larger the cottage construction, the greater ongoing expenses are most likely to be. If you have a larger family or enjoy entertaining, chances are you will want larger, more open spaces than classic cottage design. If you are married but haven’t yet started a family and plan to at a later date, consider a floor plan that will easily evolve to meet changing needs. With rooms that can easily be converted to serve more than one purpose. For instance, a storage room in close proximity to the master bedroom that could be made into a nursery. Or, a home office or reading room that could later be turned into a family room or children’s bedroom. In addition, the kitchen area should be larger than what your current needs are. Another aspect of cottage design will be type of materials used. Do you want a log cabin, a stone cottage, or something very unique – like a thatched cottage? Part of the allure of cottage living is the variety of cottage style choices from which to select. Be practical; but also be creative and have fun with the design. Where you build your new cottage home is every bit as important as cottage design and the cottage floor plan. Think about accessibility, privacy, and convenience. Are there already plumbing and electrical resources in place? And what about distance – to and from the location. When considering property cost, take into account additional costs, as well: plumbing, electrical hookups, landscaping, road paving, etc. And any additional expense incurred if you have to hire a roofing contractor, plumbing contractor, electrical wiring contractor, or landscape contractor. •Check all local building codes, and zoning laws that determine what you can build, as well as where you can build it. •If the new cottage home will be your primary residence, you may qualify for a GST (goods and services tax) rebate. •Cottage house plan kits are available, an option that can help cut down on costs. This also allows the do-it-yourselfer to save even more money by doing some or all of the building. •Before selecting cottage site, find out what the property taxes will be. Lake side locations can be significantly higher than urban developed areas. •When considering remote country settings for cottage construction, find out what easement or property rights of way may be attached to the property, if any.